Friday night, Naval Academy History Museum and USNI hosted a debate on the viability of Aircraft Carriers as a future naval asset. Bryan McGrath, the affirmation, and Jerry Hendrix, the negation, wrestled over the value-for-return and vulnerability of a carrier to enemy weapon systems. 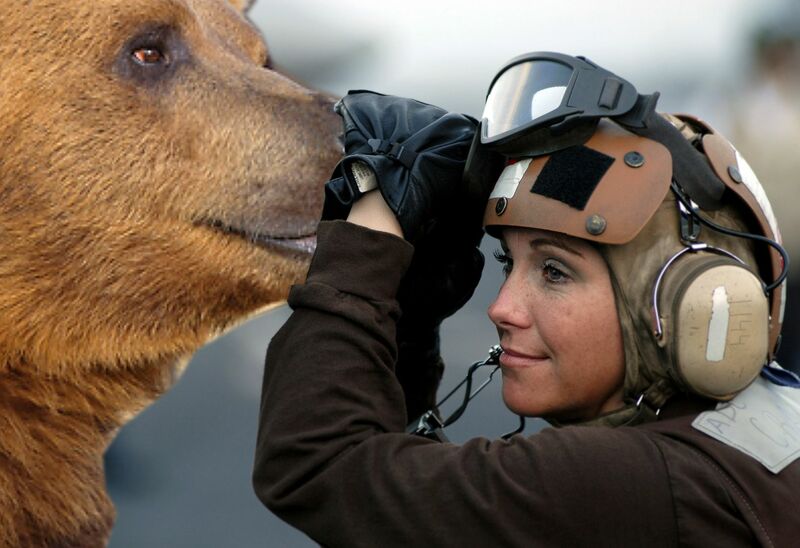 There were, however, three particular points of agreement – that there are concerning issues about the range and ability of the modern-day carrier air wing, that unmanned aviation is the future… and Grizzly Bears are terrifying. In that light, it seems that a mutually-acceptable solution for the investment security and return sought by Jerry Hendrix and the flexibility and potential sought by Bryan McGrath would be using our greatest fear to solve our mutual problem. 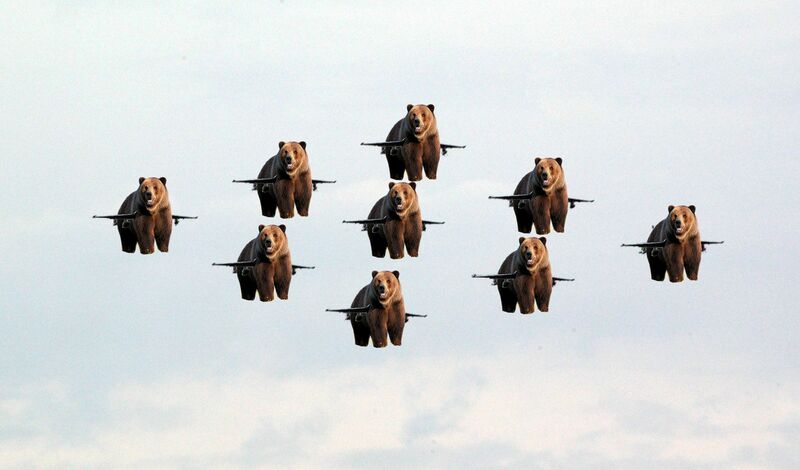 Even as we speak, the CNO’s office for naval aviation, N98, is testing the B3AR5: unmanned bearcraft. 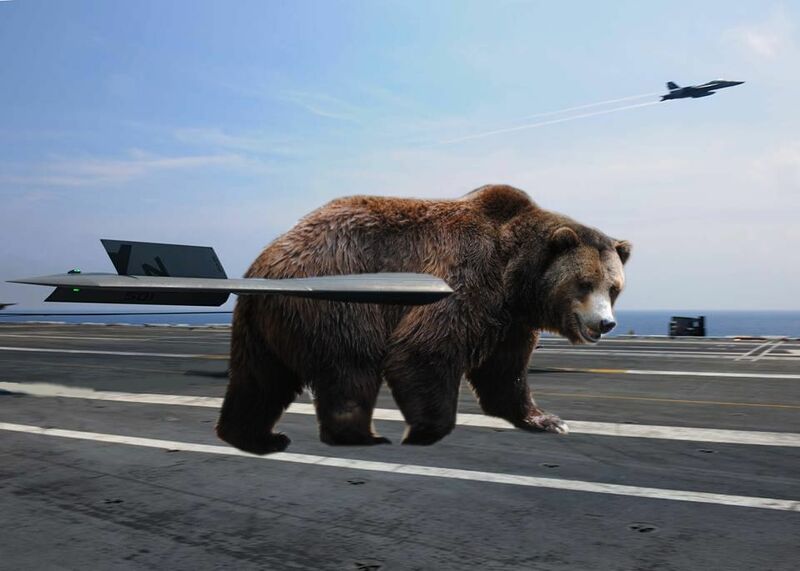 With the terrifying visage and endurance of a grizzly bear, with the flexibility and precision of an aircraft, the B3AR5 propels US naval security, and the bearcraft carrirer, into another 60 years of dominance. ABHC Connor Stark coaxes a baseline B3AR5 out of it’s bear trap for upgrade s and work-ups. 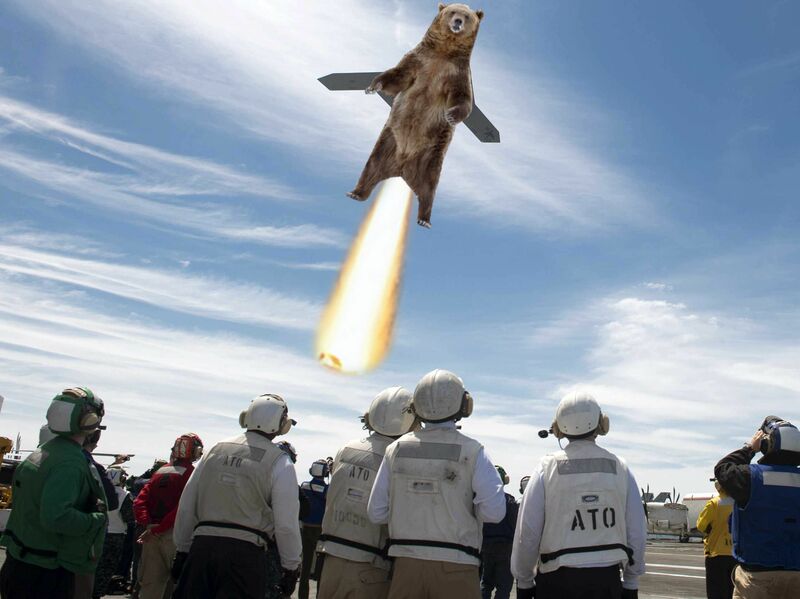 A B3AR5 is startled during advanced training. 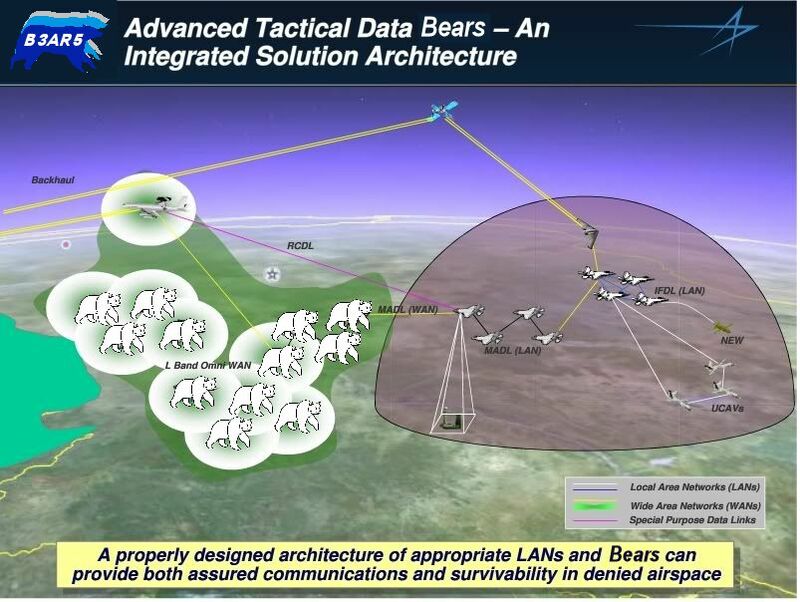 Lockheed Martin’s bid for the new B3AR5 data link architecture, enabling swarm attacks to act as a force-multiplier to the deadly lethality of flying bears. 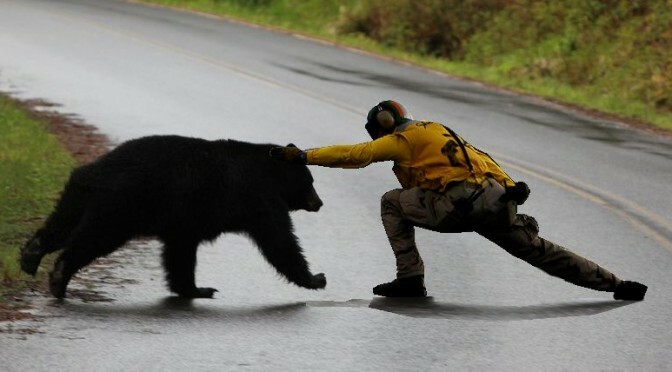 Also synergy. Prototype B3AR5 in idle during flight-deck tests during sea trial. 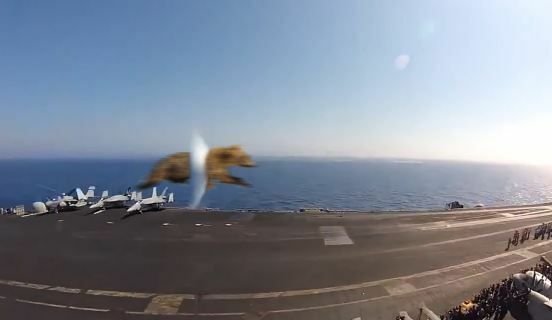 Naughty B3AR5 hits the sound barrier during a unauthorized flyby of the USS GERALD R FORD during sea trials. 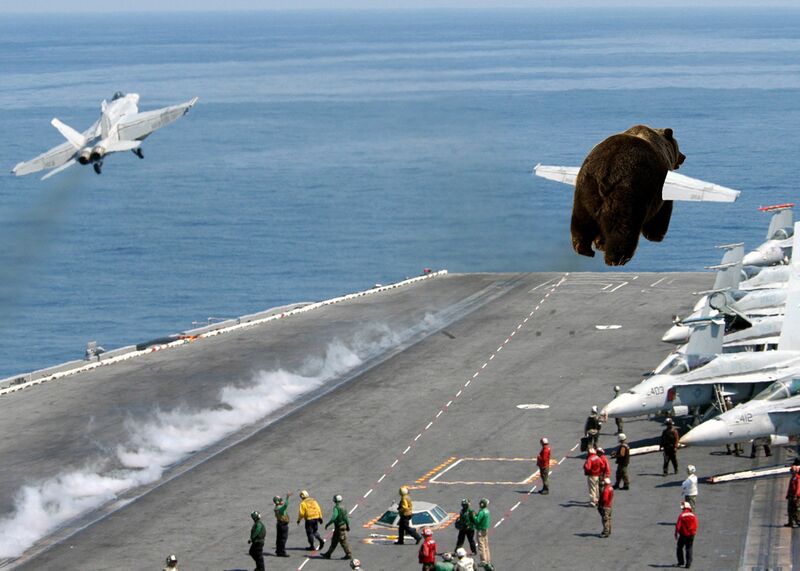 The first flight of Carrier Bear Wing, BVW-1, off the USS LEEROY JENKINS (BVW-1). 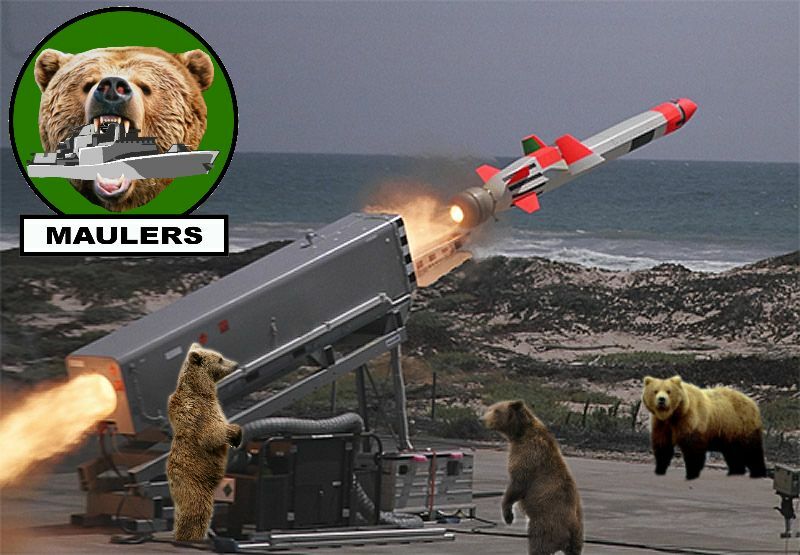 For the Army’s new Coastal Artillery project, intended to give the US it’s own ground-based A2AD capabilities, General Odierno, Army Chief of Staff, has commissioned tests of a ground-based version of the B3AR5.